The Supreme Court has sought the Centre's Response on a clutch of petitions against a recent snooping notification issued by the home ministry. New Delhi: The Supreme Court on Monday issued a notice to the Centre on a set of petitions challenging the government’s notification authorising ten central agencies to intercept, monitor and decrypt any computer system. The apex court sought the Centre’s response within six weeks. Five petitions filed in the Supreme Court challenging the government’s December 20 notification came up for hearing before Chief Justice Ranjan Gogoi. The petitions are by Trinamool Congress MLA Mahua Moitra, Shreya Singhal, who successfully challenged Section 66 of the IT Act a few years ago, Amit Sahni, advocate M.L. Sharma and the New Delhi-based Internet Freedom Foundation (IFF). Broadly-speaking, most of the petitions make the argument that the government order and the underlying legislation don’t satisfy the test of proportionality put forth by the right to privacy judgement by the Supreme Court. According to the government’s notification, 10 central probe and snoop agencies are now empowered under the Information Technology (IT) Act, 2000, for computer interception and analysis, home ministry officials said. The agencies authorised to intercept computers are the Intelligence Bureau, National Investigation Agency, Enforcement Directorate, the Central Board of Direct Taxes (for Income Tax Department), Narcotics Control Bureau, Central Bureau of Investigation, Directorate of Revenue Intelligence, the Research and Analysis Wing, Directorate of Signal Intelligence (in service areas of J-K, North East and Assam) and the Delhi Police. “The unbridled discretion granted to the named Security and Intelligence agencies to access information under section 69(1) amounts to a breach of fundamental right to free speech and expression guaranteed under Article 19(1)(a) and right to privacy and liberty under Article 21 of the Constitution of India. 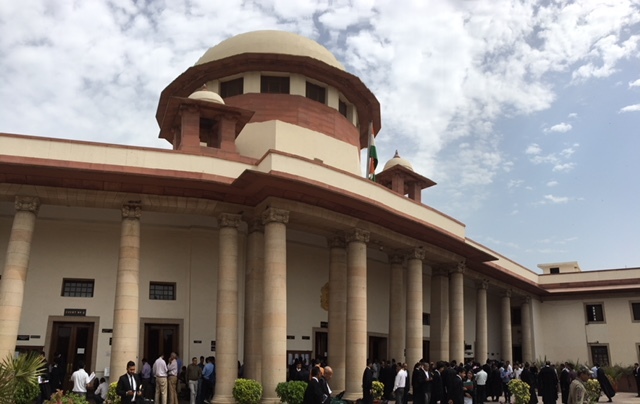 Such violations need not be manifested in the form of physical coercions or restraints but the very existence of such unregulated surveillance authority in the form of a central government order / permit results into the said violations of fundamental rights and freedoms under Part III of the Constitution of India,” her petition, which was argued by Abhishek Singhvi, said. After the notification was issued, opposition parties said it violated privacy, while Jaitley said that the rules were framed under the Congress-led UPA government in 2009. Moitra’s petition highlights and criticises the effective changes that the MHA notification brings with it. Specifically, it targets the fact that Rule 4 only allowed government officials to authorise an agency to perform the technical task of surveillance, whereas the new notice seeks to expand that scope. Authority alone – and that too – under safeguards provided under the IT Act and the Rules,” the petition notes. By allowing delegation, the Modi government has diluted the “very letter and spirit of the original intent of the legislature”, the PIL notes, adding that in today’s world, it is imperative that “power is exercised with utmost caution and not eroded by scattering it where it cannot be controlled”. In its petition, the Internet Freedom Foundation — which has also challenged the constitutional validity of Section 69 of the IT Act and the Information Technology (Procedure for Safeguards for Interception, Monitoring and Decryption of Information) Rules 2009 — says the MHA notification has “essentially activated” an “unconstitutional surveillance mechanism” that was provided for by provisions of the IT Act. The IFF notes that the Supreme Court will have to function as the “last bulwark of liberty in cases” like this, because India’s current surveillance system is “covert”, leading to little scope to approach a court with specific examples. proportionality’ – a sine-qua-non to curtail fundamental rights under Articles 19(1)(a) and 21,” the petition notes.